Finally – the days are getting longer! Fishing season opens April 23 – that is also the date for our annual Wooden Boat Festival! 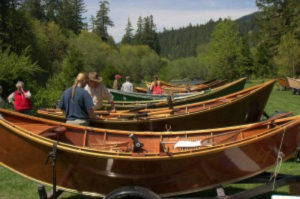 Join us here on the river for a wonderful display of McKenzie River Drift boats – watch some experts fly fish – even learn how to tie a fly! Make plans now – it’s always a fun day!